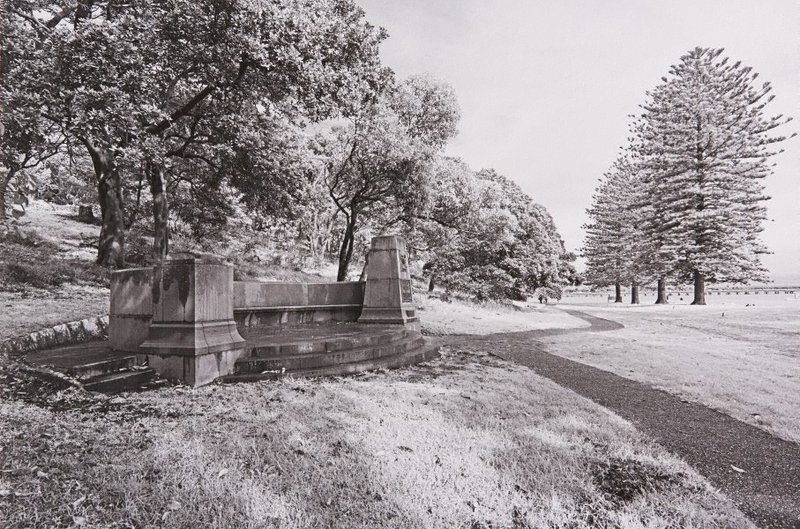 Bruce Searle was born and educated in Sydney and graduated from Sydney College of the Arts in 1985. 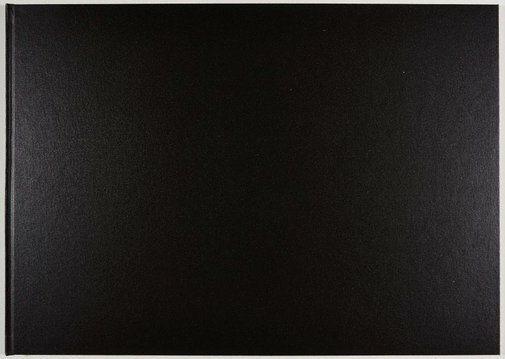 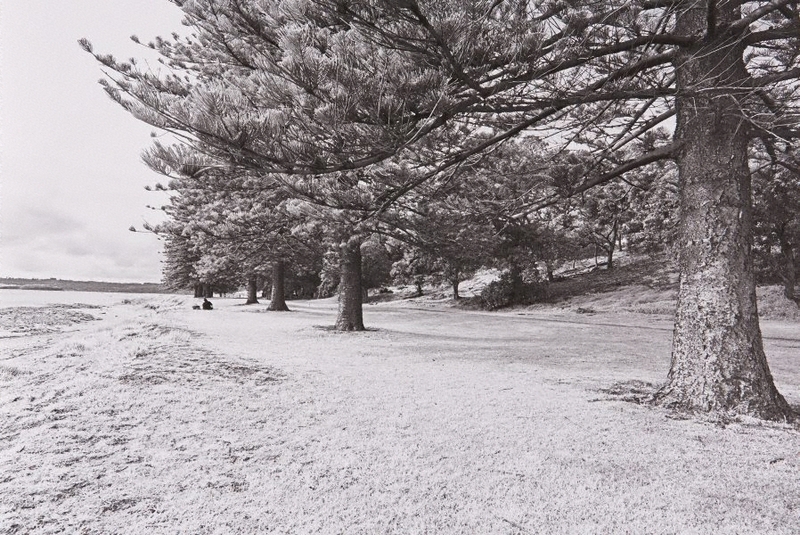 In 1983 he was co-director of Images Gallery, Sydney with Paul Hewson, and he has worked as a teacher. 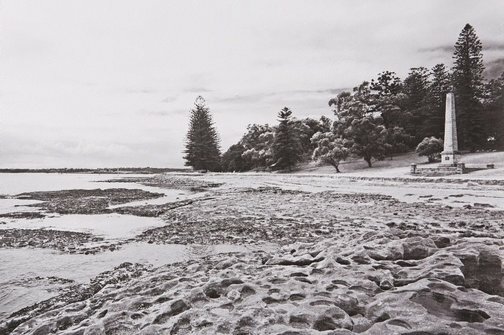 For the past thirty years, Searle has produced limited edition and unique artist books exploring landscapes he considers to be loaded with personal and collective memories. 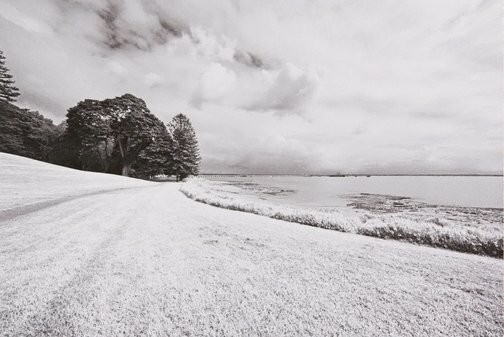 Through the creation of books, Searle engages the viewer with his photographs in a way he believes is not possible with works created for conventional wall display. The often smaller scale and sequential ordering of the book allow the audience a more intimate viewing of his photographs. 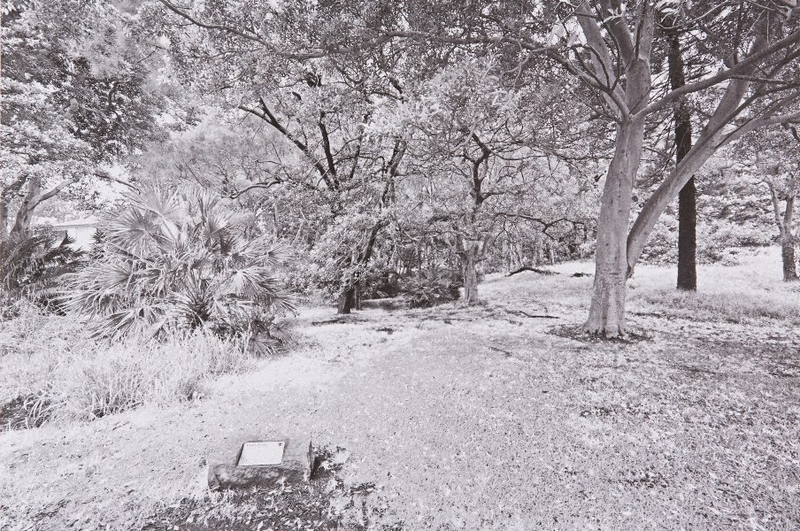 The subjects that have dominated Searle’s books in recent years are usually significant but forgotten sites within the landscape; sites often loaded with narratives of colonial settlement, cultural identity, and collective and personal memories. 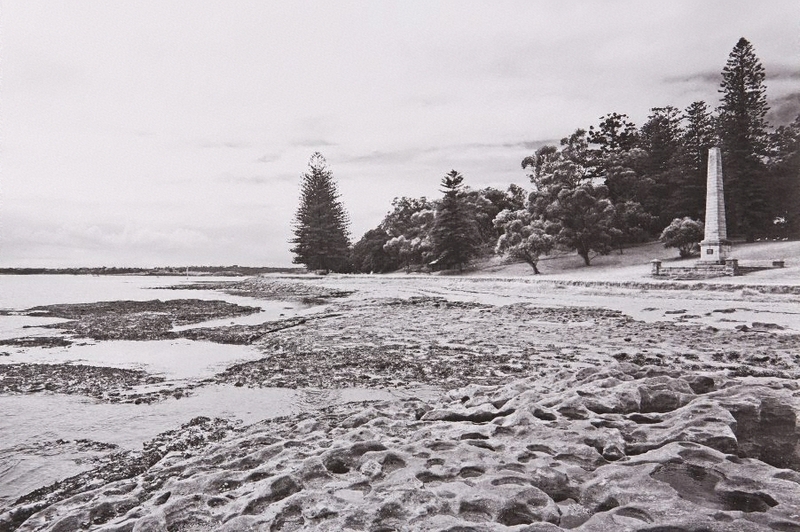 Searle investigates the histories of such places and the ways they have changed over time. 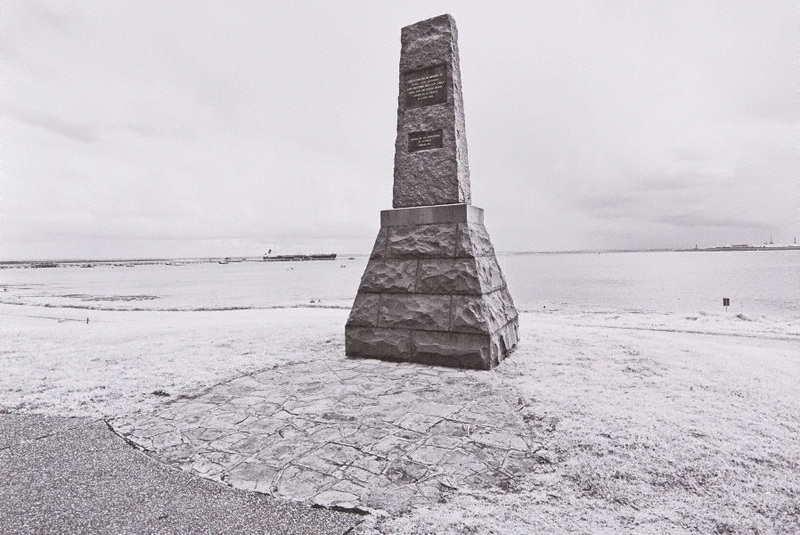 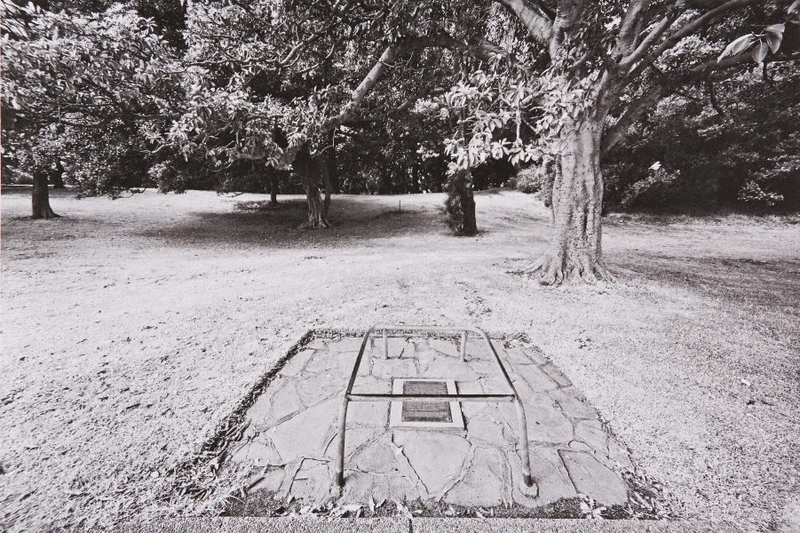 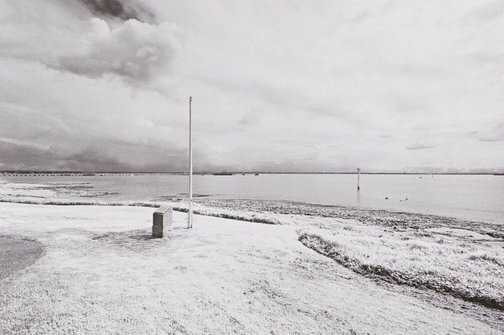 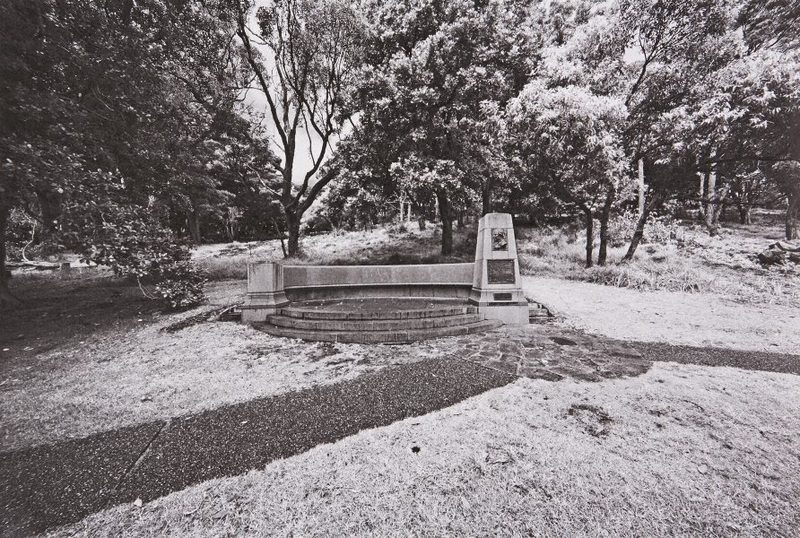 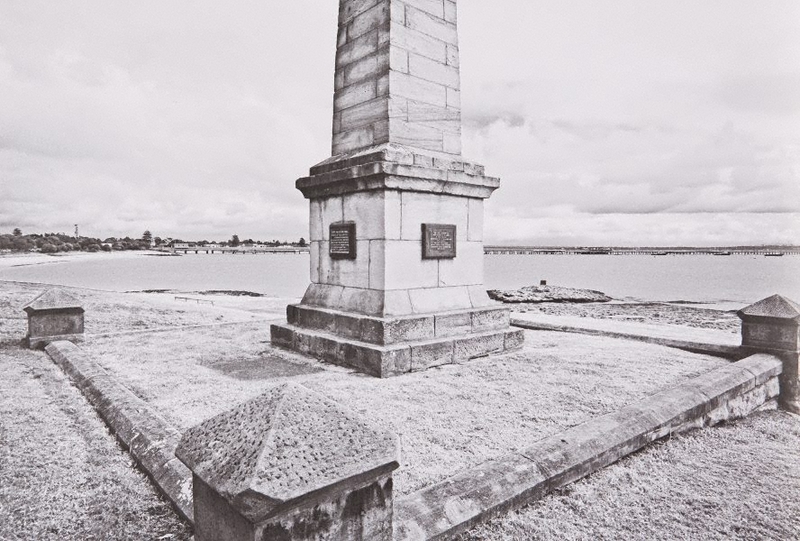 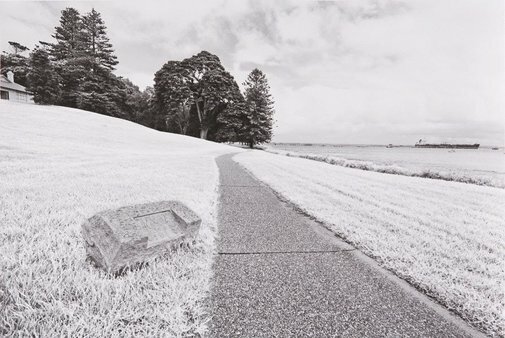 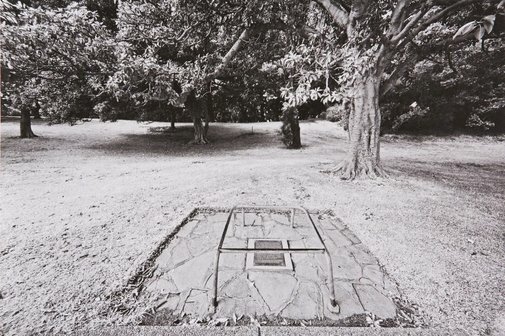 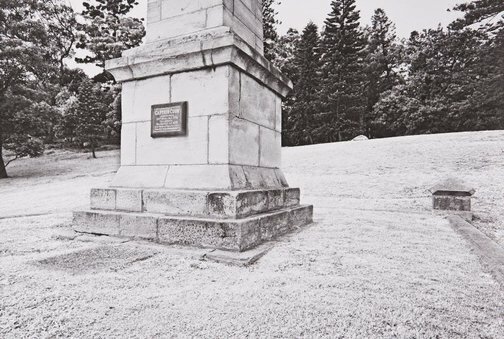 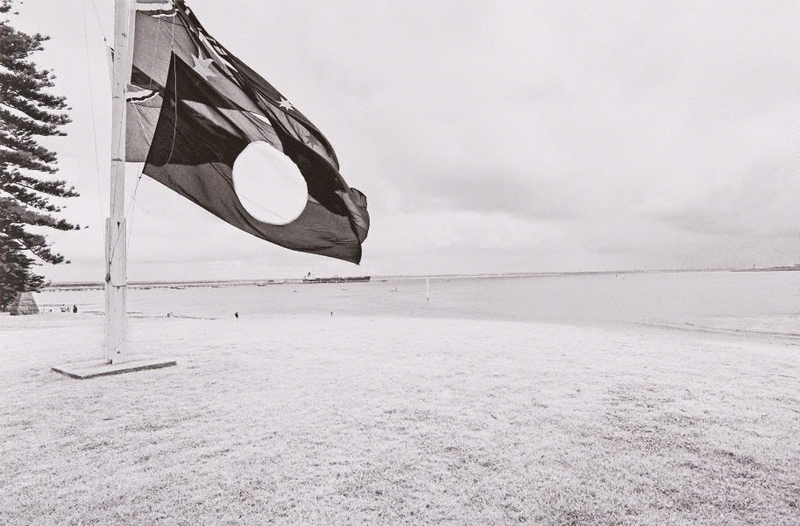 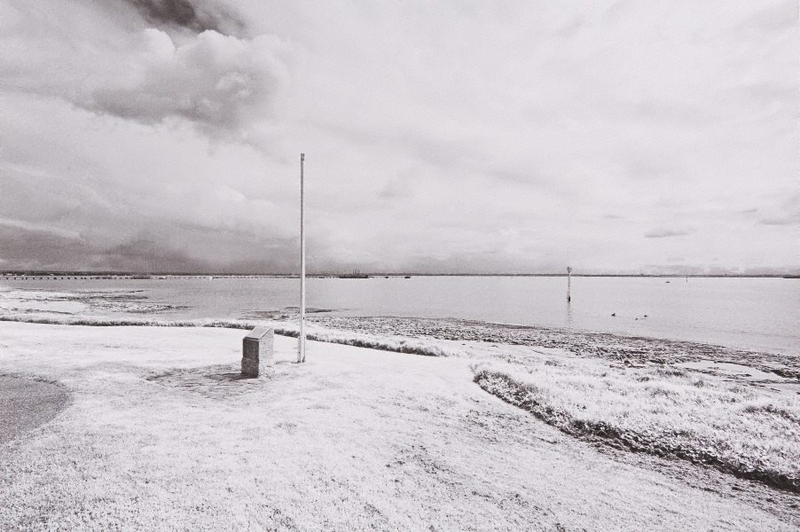 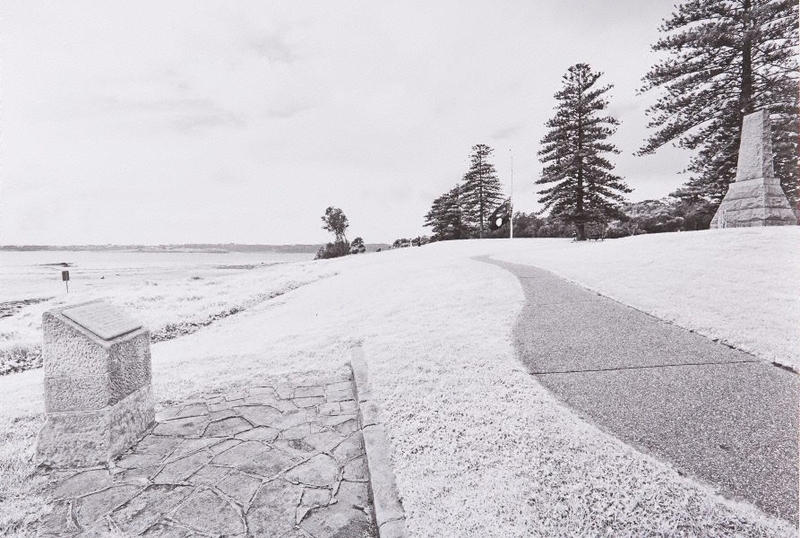 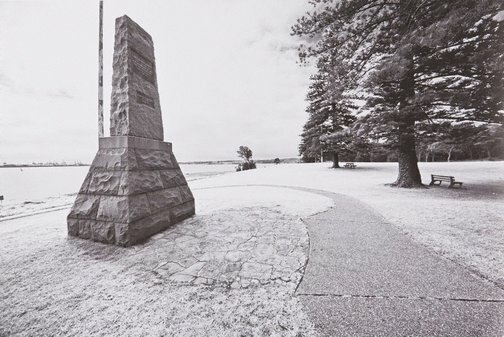 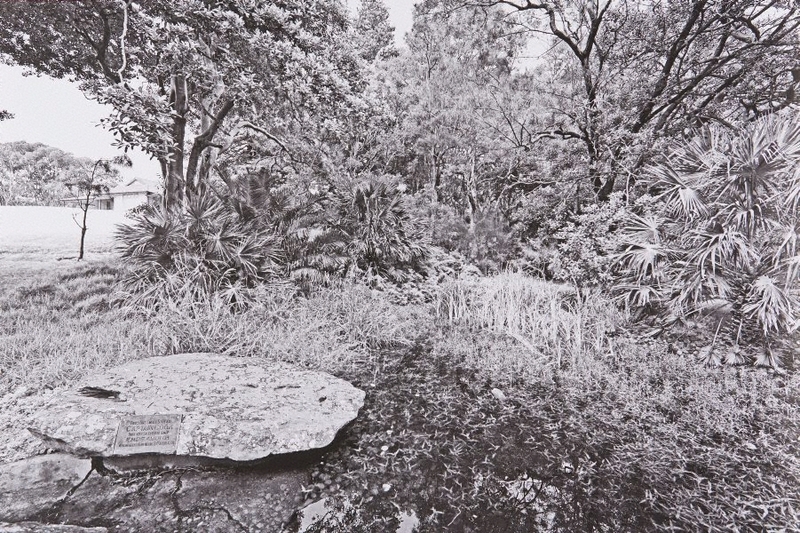 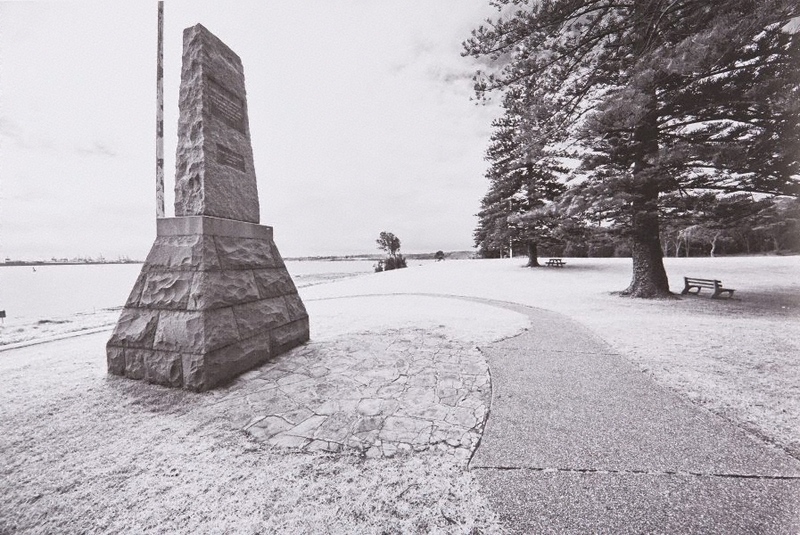 The photographs presented in ‘The White Album’ depict the scattering of monuments and memorials that now stand at Kurnell, NSW, marking Captain Cook’s landing. 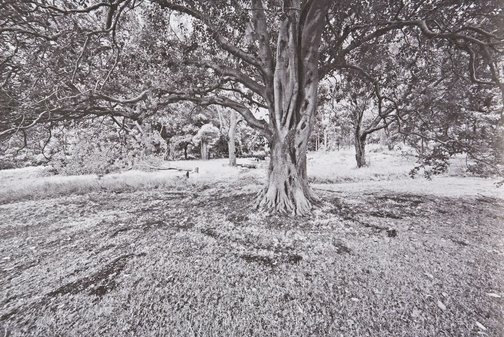 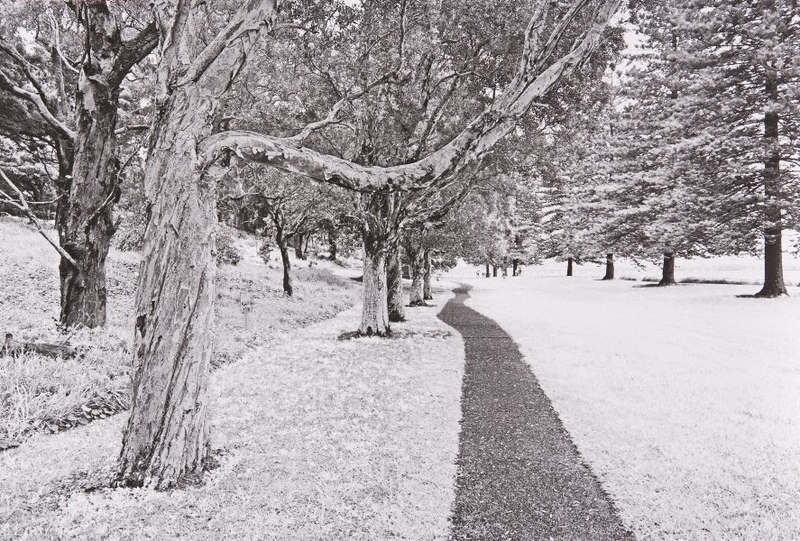 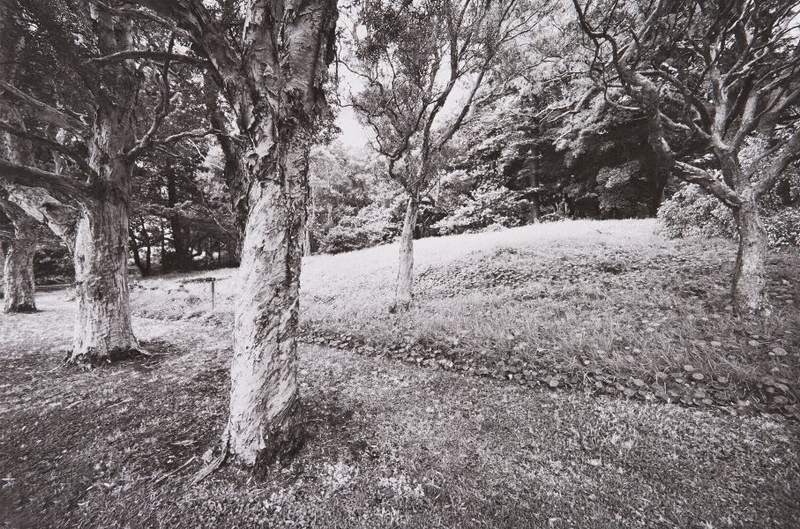 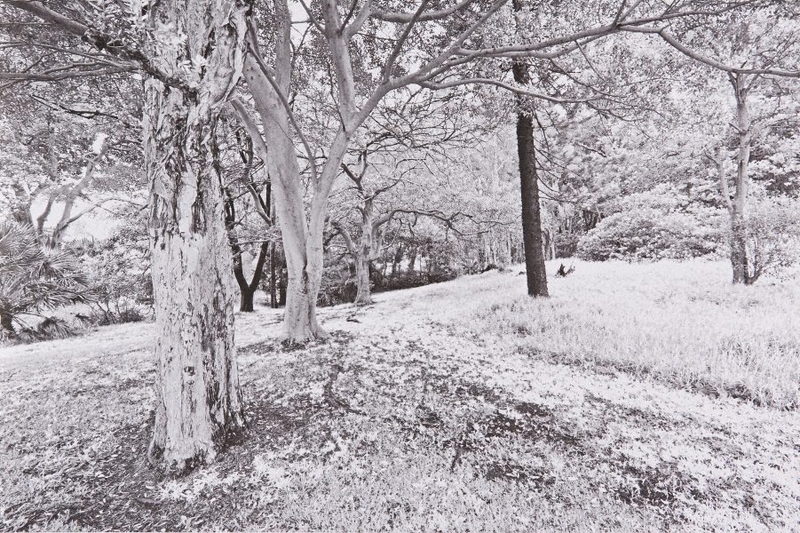 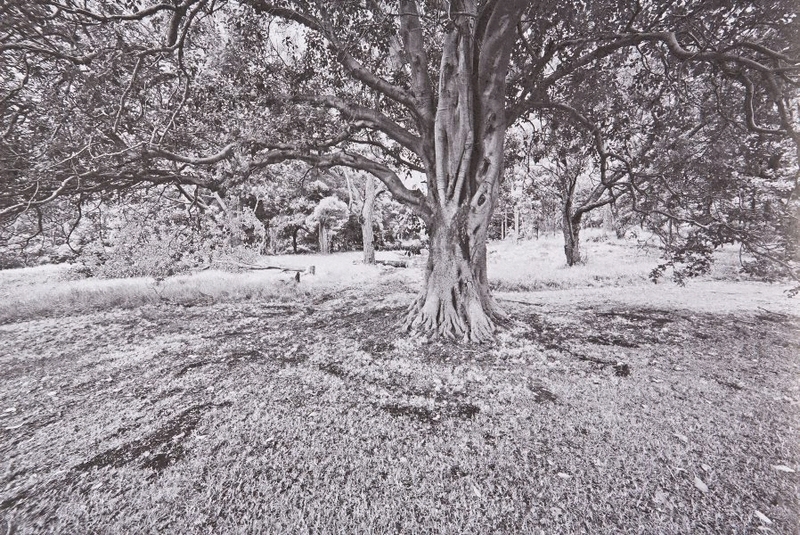 The low-contrast black and white, pale manicured grass and the few, distant people produce a sense of unease as what the photographs depict conflicts with our knowledge of colonial history. 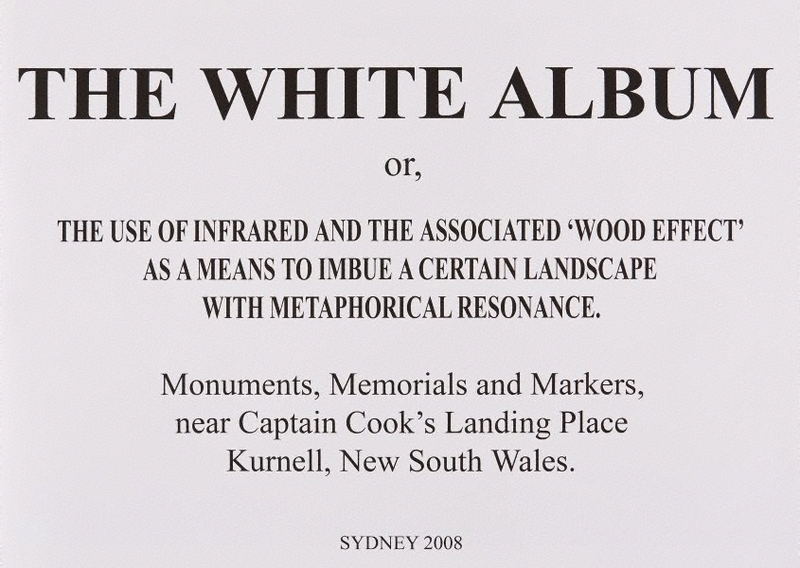 The work’s title further hints at Searle’s intention in producing this book. 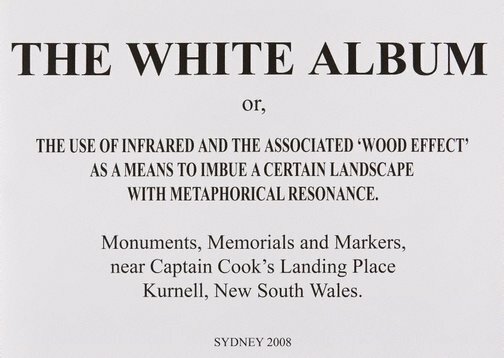 Perhaps he is suggesting how the memorialisation and monumentalisation of Cook’s arrival stands for a kind of whitewashing of darker and more complicated national histories. 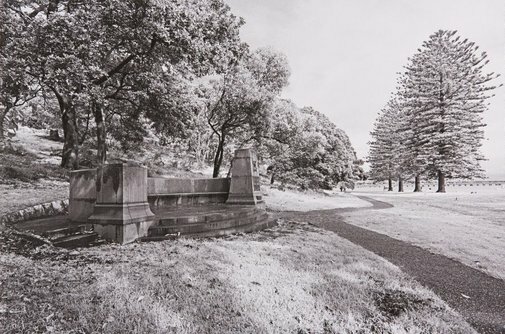 The book leads the viewer through the photographs and thus the sites themselves, emphasising the curved lines of the pathways between monuments. 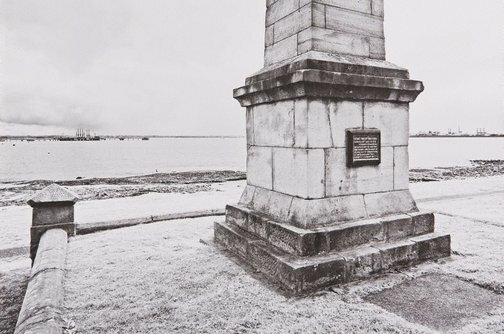 Searle’s method of photographing one monument or memorial from multiple positions and then displaying them next to each other in the book suggests a sense of journeying through the landscape, but returning to the same place. 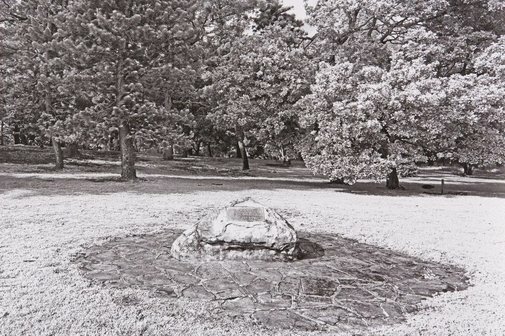 Signed l.c. 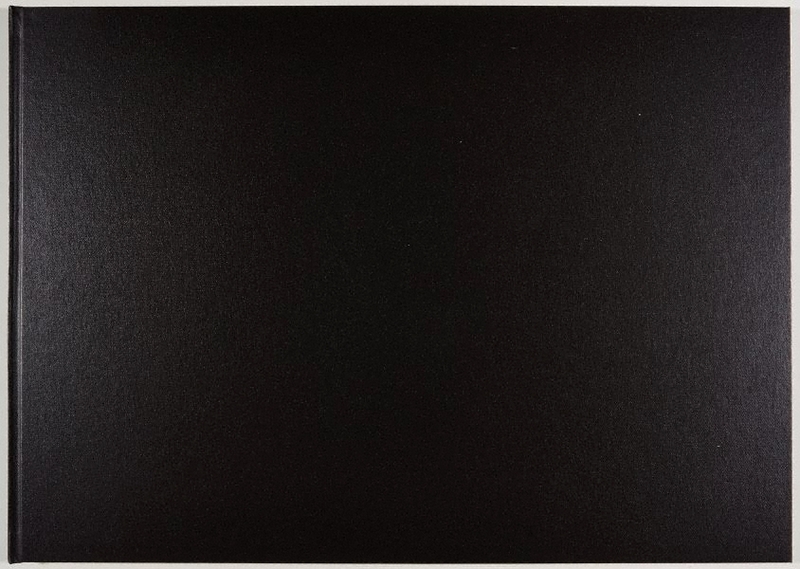 back endpaper, pencil "BS...". Not dated.